The gap between Africa and America is getting smaller. Our local stars are slowly making waves in the US. Of late Naija artists have been collaborating with US artirts and our very own Trevor Noah is now the host of The Daily Show. This week two of our continent's hottest stars were pictured at major events in the US. 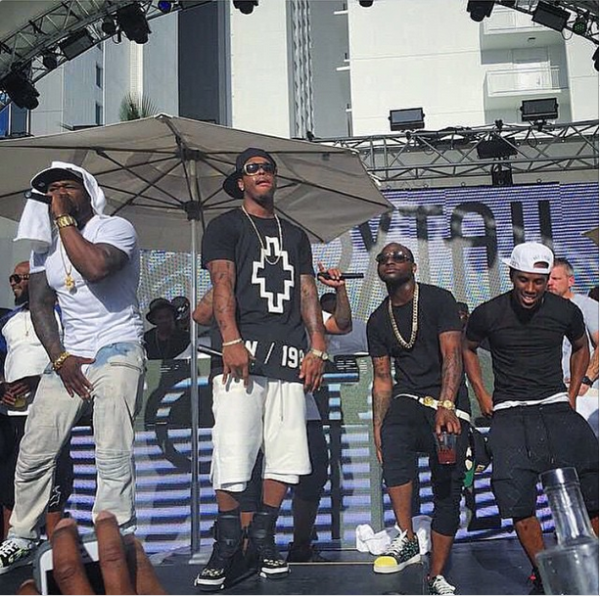 After the international frenzy of the ‘Fight of the Century’ between Floyd Mayweather and Manny Pacquaio, Nigerian superstar Davido and his crew were pictured partying it up at a pool party at Foxtail club at The SLS Las Vegas. Davido got the chance to get on stage with American rapper, actor and author 50 Cent as well as American singer Jeremih. South African comedian Trevor Noah attended his first major A-list event this week. The new host of The Daily Show got to walk the redcarpet and mingle with stars such as Rihanna, Beyonce, Jay Z, Kanye, Anna Wintour and many other Hollywood superstars at the Met Gala.